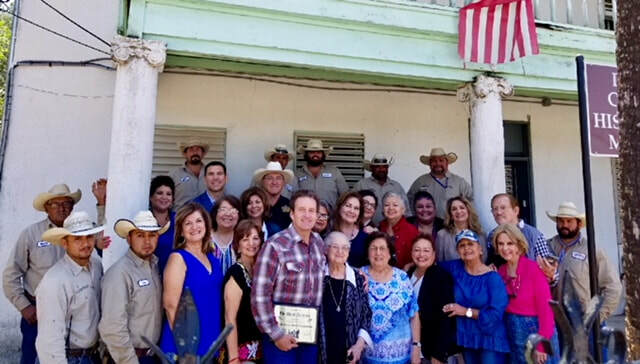 "To know your future, you must know your past"
DCHC members gathered on April 12 to acknowledge Bradford Wyatt and the Wyatt Ranches for their generous $75,000 contribution to DCHC. We presented Mr. Wyatt with an appreciation plaque and hosted a reception for all at the museum. Bradford Wyatt (Right) holds up the appreciation plaque presented to him by DCHC. 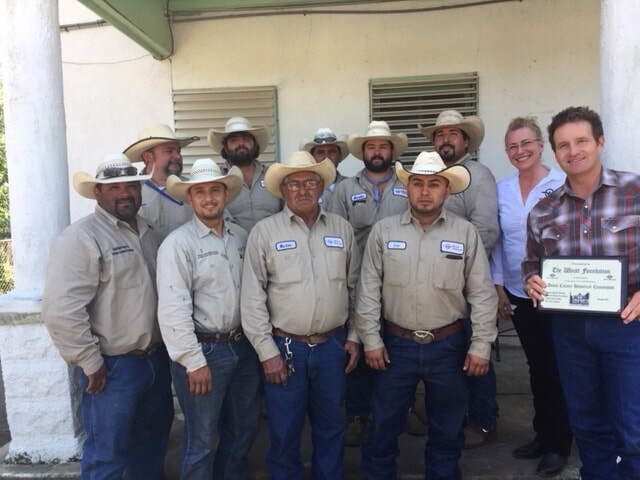 He brought his staff food service director (Leticia S.) and some vaqueros who work at the Wyatt Ranches. After the plaque presentation and reception, the guest-honorees toured the museum. Duval County Museum and Historical Commission invite you to explore events and exhibits that will connect you to Duval County's rich heritage and history. Be sure to browse our collection of historical pictures and check out the Soy de Duval Blog by Alfredo Cardenas. ​ Museum Director: Shelly Gaitan-Ochoa Hours of operation: Tu - F 1:00 p.m. – 5:00 p.m.
ducomu1912@gmail.com Saturday - 10:00 a.m - 2:00 p.m.